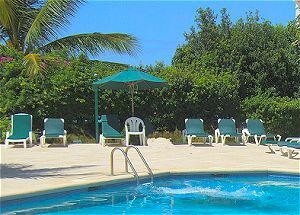 At www.Barbados.org we’re thrilled to release new travel planning tools for our wonderful visitors. This latest innovation presents Barbados hotels and resorts in a highly visual manner and includes tools to help you quickly find and book the perfect hotel for your Barbados vacation! We’ve kept the popular directory listings and added special advice that will be particularly useful to those visiting the island for the first time. You can search by name, size, location, facilities and rate. You’ll see familiar brand name chains such as Hilton, Radisson and Marriott, along with excellent local resorts and quality family-run hotels. Just click the “Quote” button to calculate the cost of your stay and complete your booking… it really is that easy. Take a look at our video below then give it a try yourself! Stay tuned… Barbados guesthouses and vacation apartment rentals are next in line for this upgrade! www.Barbados.org has been the largest and most useful Barbados travel planning website since 1996! We’re constantly working on the site, adding new pages about the island and creating tools such as this one to make your travel planning experience a fun one! We hope you have a great time planning your vacation, and enjoy a wonderful holiday on the island!